The cultural capital of the state is Mysore being home to the stunning palaces courtesy the Wodeyar royals who once ruled the state from here. Located just 130 km from the capital Bengaluru, the ride is a breeze courtesy the beautiful four lane road that connects the two cities. Taking center stage is the Mysore Palace or the Amba Vilas Palace that sees more footfalls than any other monument in the world! This palace has a Public Durbar Hall with imported French lamp representing Egyptian figurines and a Private Durbar Hall that was used by the king for private audience. Carved rosewood doors inlaid with ivory, opulent gilded columns, stained glass ceilings, ornamental steel grills and chandeliers with delicate floral motifs, the royal throne and the wooden elephant howdah decorated with 84 kg of gold reflect the grandeur of days of the past. While in Mysore a visit to the 12th century Chamundeshwari temple atop the Chamundi hill houses the presiding deity of the Wodeyar kings is a must. The Sri Chamarajendra Zoological Gardens, St. Philomena’s Cathedral, Jaganmohan Palace and Brindavan Gardens are other important places here. This apart check out the Regional Museum of Natural History, Rail Museum, Indira Gandhi Central Museum and the Bharatiya Vidya Bhavan while you are here. 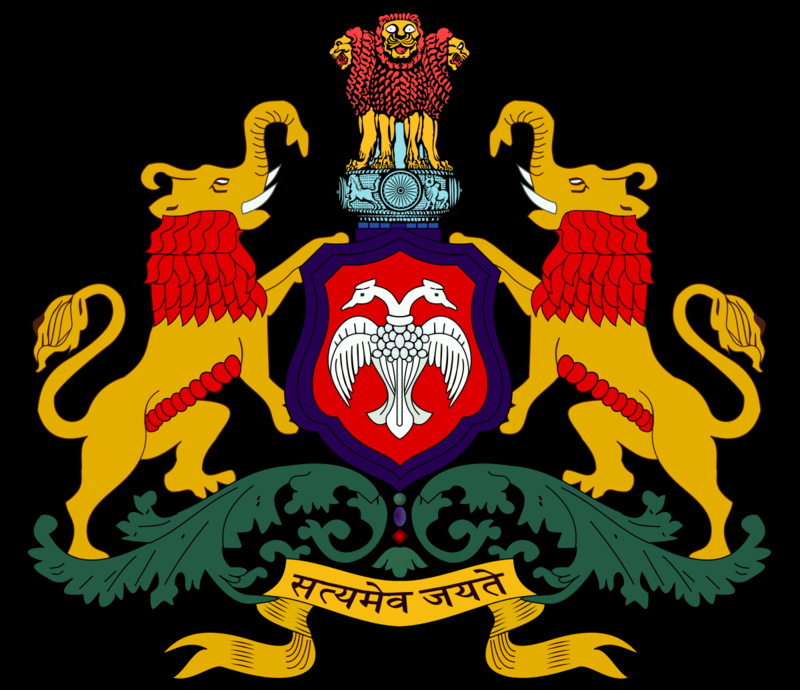 However if you are here during the annual Dasara festival, you can witness the grand ten day that culminate in a grand procession called Jumboo Savari a parade with decorated elephants, colourful tableaux, dance groups, music bands and other floats that originate from the palace grounds to Banni Mantap (a locality in Mysore). The capital city, Bengaluru is a cosmopolitan metropolis that blends tradition and new age technological advances seamlessly to make it one of the most preferred cities to live in India. Arguably the city with the best weather in the country, Bengaluru also has several interesting sights. Living up to its tag of ‘Garden City’, are the two large lung spaces – Cubbon Park and Lalbagh that are home to various botanical species of plants. Lalbagh also hosts a much awaited flower show twice a year – during Republic Day and Independence Day. The simple summer palace of Tipu Sultan used by him as a summer retreat is a two storey teak wood structure with exquisitely carved wooden pillars, arches and balconies in Indo-Islamic architecture is located here. The fort nearby is said to have been built by the founder Kempe Gowda (after whom the international airport is named) and has five sculpted arches and a Ganesha temple in its precincts. A major landmark the city is the Dodda Ganesha temple that has an 18 feet high and 16 feet wide idol of Ganesha. Adjacent is the Basavana Gudi (or the Nandi Temple), that has a massive bull and this is where the annual ground fair called Kadlekai Parishe is held in the last week of November. The adjoining Bugle Rock garden has several rocks dating back to many centuries. The State legislature building Vidhan Soudha and High Court Attara Kacheri are buildings that are must be seen for their amazing Indo Neo-Dravidian, Indo-Saracenic and Dravidian styles of architecture. Shopping, eating out and having a good time is second nature here and this is a city that will never disappoint the traveller. Set amidst the sparkling waters of the Arabian Sea and the Western Ghats, the coastal town of Mangalore is the main port city of the state. Surrounded by verdant hills, ancient temples and Jain basadis, this is the chief maritime city of Karnataka. While you are here start your trip at the ancient Mangaladevi temple dedicated to the Goddess after whom the city has been named. The oldest Shiva temple in Mangalore perched on the Kadri hills, is the Kadri Manjunatha temple that has an elaborate entrance arch and multiple carved pillars and a spire covered in brass. Also pay obeisance at the St. Aloysius Chapel whose walls are covered with the paintings of artist Antony Moshaini of Italy and dates back to 1899. The Thannirbavi Beach part of the Mangalore port trust is one of best beaches of the city and a great place to watch the sunset. The Panambur beach with stunning views of the light house and sailing ships, the Surathkal beach and the nearby temple of Lord Sadashiva and the Ullal beach close to the ruined fort of Abbakka Devi are some other beaches that you must see while you are here. One of the best things of Mangalore however lies in its delectable cuisine from Mangalore Buns to Goli Bajji to Mangalorean Fish Curry that you must sample. Also try the Gadbad an ice cream sundae that is a speciality of the region that is a mix of different flavours with nuts, fruits, jelly and cream that will leave you asking for more! Officially called Belgavi, Belgaum is a city that is akin to the second capital of the State and is home to the administrative building Suvarna Vidhana Soudha. The Belgaum Fort at the centre of the town dates back to 1519 and has been rebuilt over time and is one of the oldest in the State. The entrance has shrines of Goddess Durga and Lord Ganapati and this area also has two old mosques – Jamia Masjid and Safa Masjid. The structures inside are a blend of Deccan and Indo – Sarcenic styles of architecture. The Neminatha idol made from black stone is located inside the Kamala Basti here is a must visit. Also check out the Mukhamantapa a lotus carved on the ceiling. A visit to the building where Swami Vivekananda stayed for 12 days in 1892 is today the Ramakrishna Mission in Belgaum. The Kapileshwara Temple referred to as Dakshina Kashi and it is widely believed that visiting the 12 Jyotirlingas is incomplete without paying a visit here. The one place that you must not miss seeing however is the Kittur Fort and Palace located about 50 km away and is associated with the heroic Rani Chennammawho ruled and protected this place. This is the place from which the queen carried out an armed rebellion against the British rulers and today you can visit the ruins of this place. The local handloom and cottage industry is well known and the silk weavers located in Vadgaon and Angol are known for the designing exquisite saris. 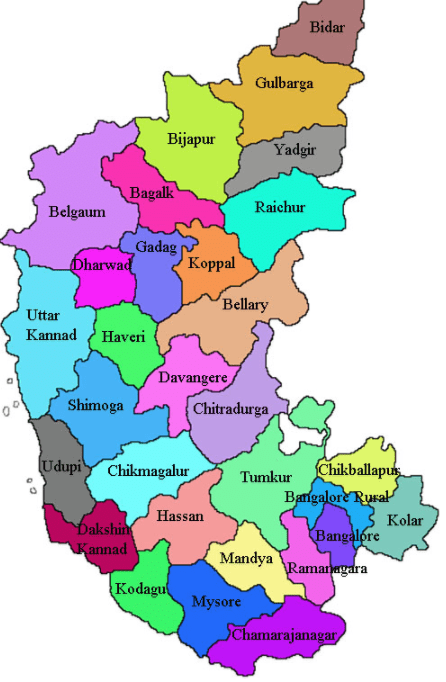 If you want to get a good understanding of the State of Karnataka, you can start from the North. Bidar for instance has several monuments and mausoleums attract historians, offbeat travellers and those who love architecture. This place offers a pleasant stroll down a land of medieval memories that glimmer like the silver etchings of Bidriware, a craft unique to this city. On the other hand is the world famous Gol Gumbaz that adorns the skyline of Bijapur is a splendid architecture visible from any part of the city. Built in Indo-Sarcenic style the symmetry and grandeur make it possible for the monument to be seen in its entire entirety. Bijapur has other fine examples of architectural prowess. Likewise in Bagalkot there is a Jain basadi of Parshwanatha, a Virakta matha and several mosques of which Panka Masjid is a sterling structure in stone. The twin cities of Hubli and Dharwad also in the northern part of the State are home to rich musical heritage and also some ancient temples that are stunning examples of Hoysala architecture. And how can you not visit the UNESCO site Hampi which is in close proximity. Located on the banks of the Tungabhadra the Hampi ruins cover about nine square miles; but the fortifications and the outposts of the city include a larger area. The Virupaksha Temple, Vittala Raya temple, Hampi Bazaar are amongst the several important monuments here. An Archaeological museum maintained by the Central Government at Kamalapura near Hampi is a good place to understand the art patronised by the royalty here. If architecture is your calling, you must stop at the Aihole which was once the commercial capital of the Chalukyas. There are several massive stone tombs on the expanses of the spread over two acres of land. About 30 temples here are within the fort and the abundance of red sand stone is seen here. The Hindu and Jain rock-cut temples of Aihole are an architectural delight. Close by along the river Malaprabha, is an isolated cluster of rust-tinged, golden sandstone temples of Pattadakalal that have an array of ancient temples that are a perfect ode to the artistic legacy of the Chalukyas. The 10 major temples display interesting architectural features and are also an important site for the study of the development of temple architecture in South India. Go further ahead and you will reach the rocky ridges of Badami. Located strategically at the mouth of a ravine between two red sandstone cliffs and overlooking the aquamarine toned waters of the Agastya Lake, Badami was the mythological land where saint Agastya killed the demons Vatapi and Ilvala. Badami has four Cave Temples carved out of rocks dedicated to Shiva, Vishnu and also Jain Gods. The Banashankari Amma Temple is a Hindu shrine located at Cholachagudd near Badami is also a popular stop. The Central Archaeological Department has maintained a museum here and has preserved many valuable relics. As you travel to the center of the State, you arrive at Davangere, that is home to some ancient temples like the Aanekonda Nandi & Eshwara Temple, Bethuru Kalleshwar Temple and the Neerthadi Ranganath Temple among others. While you are here, you must sample the famed Davangere benne dosa, a culinary delight as well as the Nargis Mandakki which is a spiced puffed rice that is best enjoyed with chilli fritters! Close by is Chitradurga known for its fort that has 18 ancient temples inside including the Hidimbeshwara temple. The fort has several gateways and entrances, granaries, oil pits, four secret entrances, a palace, a mosque and water tanks. Stop at the Chandravalli caves located close by when you are here. Further away is the town of Hassan which has several fine examples of Hoysala architecture and sculpture. India’s second largest earth dam is here at Gorur formed across the Hemavathi reservoir and was built in 1979. The twin temples of Nageshwara and Channakeshava in Mosale have intricately designed architecture and scriptures and are widely believed to be prototypes of the famed temples of Belur and Halebid are also located here. The Shettyhalli church built on the banks of the River Hemavathi in the 18th century submerged in water during the monsoons is another place that you must see. And if you are looking for cool vistas, green coffee shrubs, pepper plantations and nature at its best head to the Scotland of India, Coorg. While you are here visit Virajpet known for its Ayyappa temple and Shiva temple atop the Malethirike hill. The 220 years old St. Anne’s church built in Gothic architecture has two massive bells and its blue spire is hard to miss. Bylakuppe is home to one of the largest Tibetan settlements in India. Bylakuppe is the Tibetan Refugee resettlement in the west of Mysore district. The Golden Temple in Bylakuppe, Karnataka, is a home for thousands of Tibetans who are living in exile and is also a center for Tibetan Buddhism in South India. The district headquarters at Madikeri has the Raja Seat from where you can see stunning views of the entire valley awash in hues of green. The famed Abbey Falls are a sight to behold in the monsoons as the water is in full steam as is Talacauvery the birth place of the much revered Cauvery River. As you head further South, you reach the district of Chamrajnagar that is home to the Himavad Gopalaswamy Betta is a scenic spot that has religious significance and is also part of a reserve forest. The temple is on the slopes of a hillock with grassland all around. The hill is mostly shrouded in thick fog and the morning mist is famed here. You will also find the Male Mahadeshwara Hills is a celebrated pilgrimage centre which attracts thousands of devotees from all over South India in South Chamaraja Nagar District. In the South is also Shivanasamudra in Mandya district an enchanting island created by the branching out of the Cauvery into two streams and has two beautiful temples – Someshwara and Ranganatha. The Shivanasamudra falls is the second biggest waterfall in India and the lush green valley forms a perfect setting for the Cauvery River, as it hurtles down from a height of 75 m into a deep, rocky gorge to form two picturesque falls, Barachukki and Gaganachukki. Close to Mysore is Nanjangud home to the Nanjundeshwara or Srikantheshwara temple that goes back several centuries and also has an idol installed by Tipu Sultan. Further down are the forests of Bandipur, Nagarhole and Kabini that have the highest density of tigers in the country. The myriad hues, sights, sounds and colours of Karnataka is sure to leave you spellbound and give you memories to last for a lifetime. Wonderful to read this post about Karnataka.. Thanks for sharing..